Drive loyalty while simultaneously growing your revenue, and customer happiness. Specify how customers can earn access to your amazing VIP program including: Amount Spent and Points Earned. This encourages users to shop & interact more with your brand. 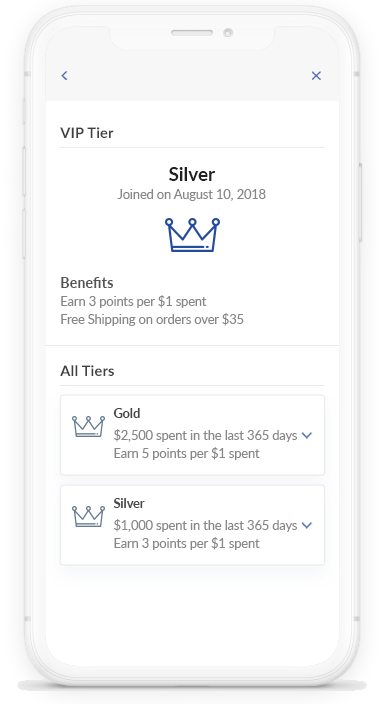 Offer entry rewards when customers first achieve VIP status, and lifetime rewards for their continued loyalty with your brand. 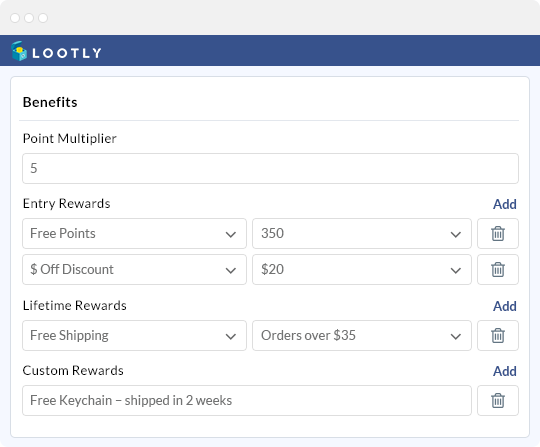 Lootly also allows you to offer Custom Rewards, which are unique perks centered around your brand and administered by your team. 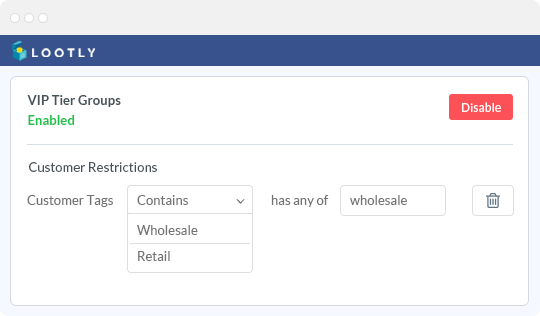 Add your unique icon to further customize the appearance of your Tiers to customers. 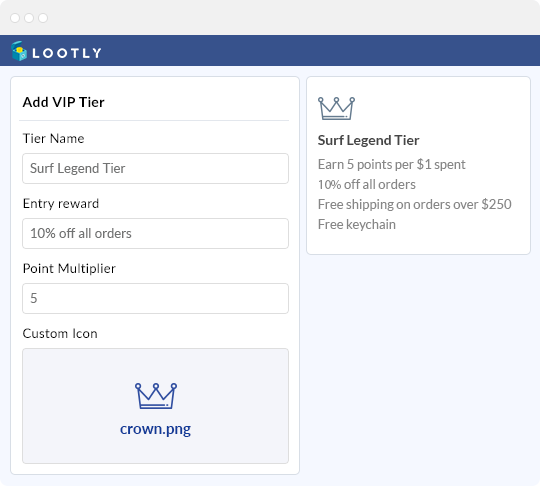 Lootly makes it easy to create special VIP programs for specific groups of customers such as Retail and Wholesale users. 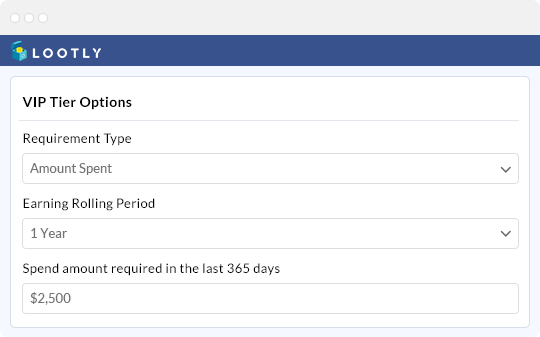 This allows you to create separate rewards that make sense for those customer groups. Turn customers into brand ambassadors to promote your store to their friends & family.